We are here to help you with your Tankless Heater. 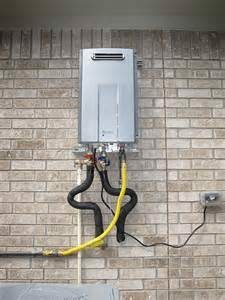 Weather you are looking to find out more information, you need to have a new one installed or, there is a problem and you need servicing on your current Tankless Heater. Our Royal Flush team of experts are professional and courteous and will point you in the right direction. Tankless Heaters are great, they are more efficient and provide endless hot water on demand. They might be more expensive for an upfront cost but with the savings per month and access to endless hot water you can easily get you money back. Also that can be a feature for when you decide to sell you home as opposed to another house that does not have one.